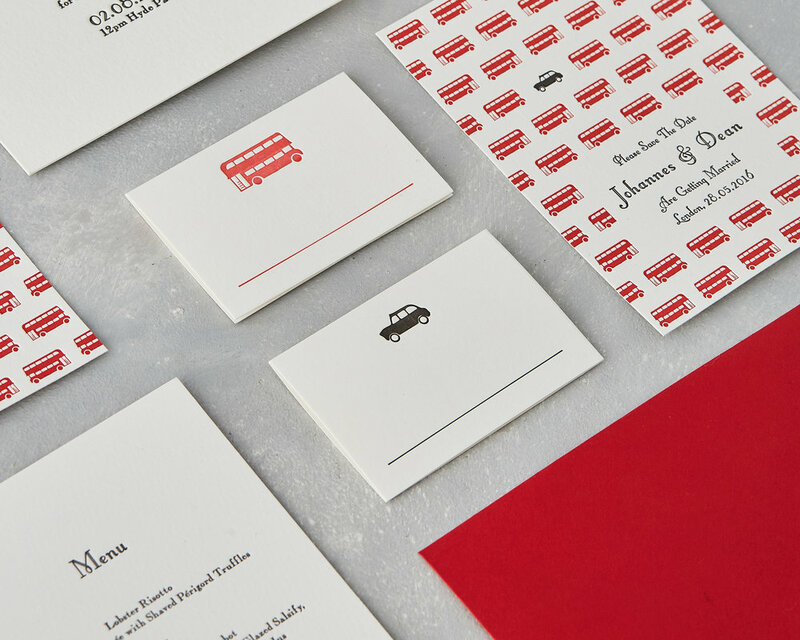 A fun and quirky London design featuring two iconic symbols of the City - the red Routemaster bus and a classic London taxi, the Black Cab. 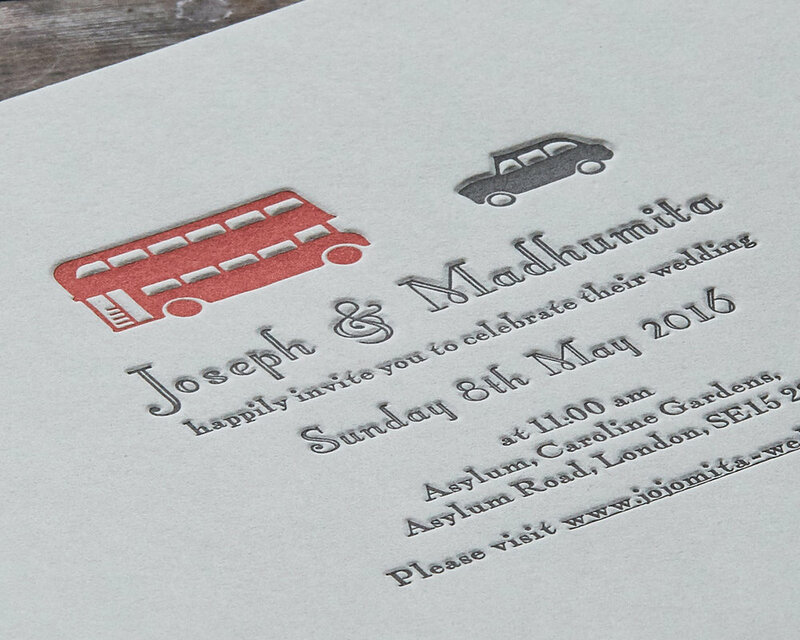 The design uses these two elements in a few different ways with a pattern design and motif style both available. 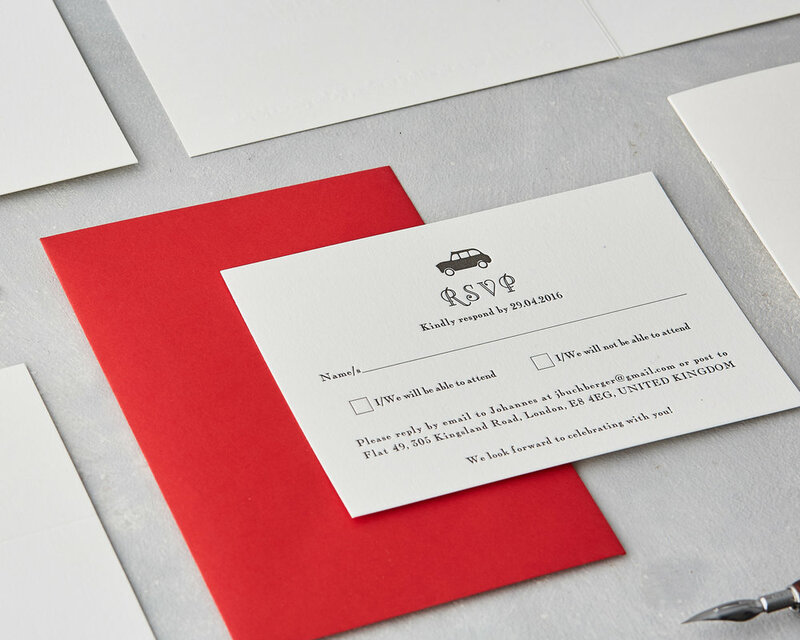 It is a fun & striking invitation to receive and will definitely get your guests excited about the wedding day. 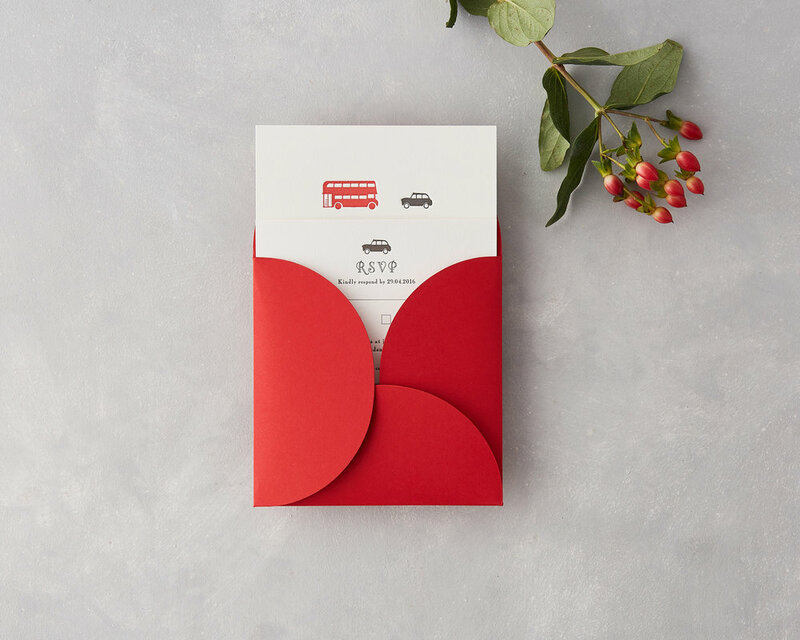 This unusual invitation set can be bundled together with string or placed in a petal folding envelope. 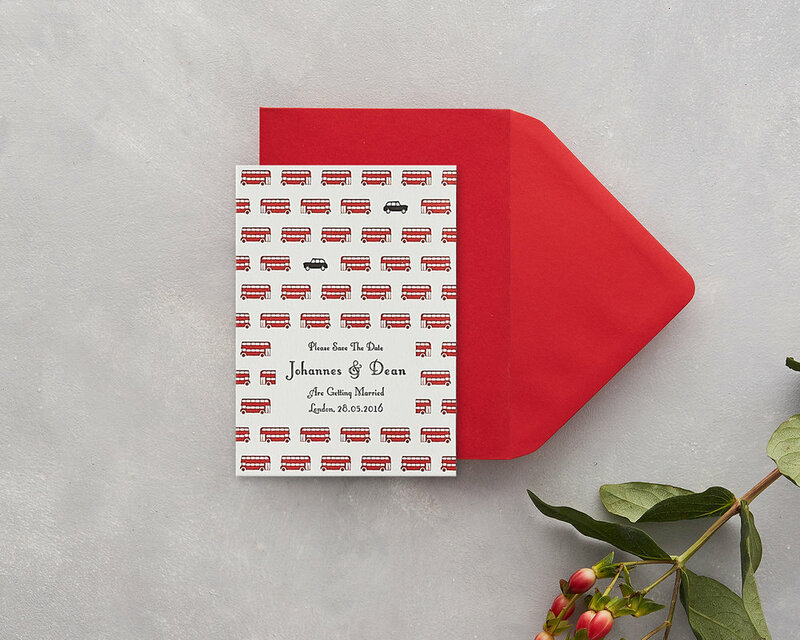 The quirky stationery set is designed to include all the necessary information for your day, Save The Dates, Invitations, Timelines, Information, Maps, RSVP cards. 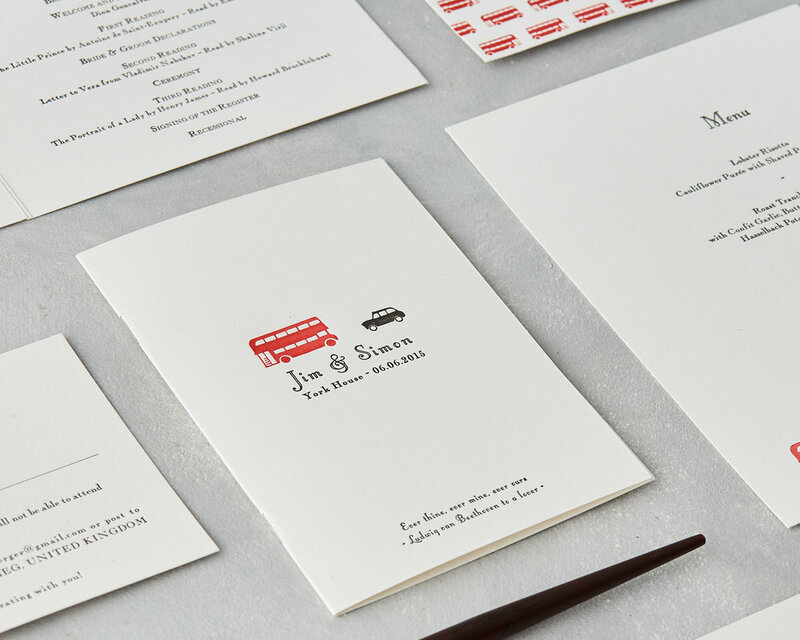 The London Taxi design is perfect for any London Wedding with a quirky and unusual style that sets the mood for a fun event. 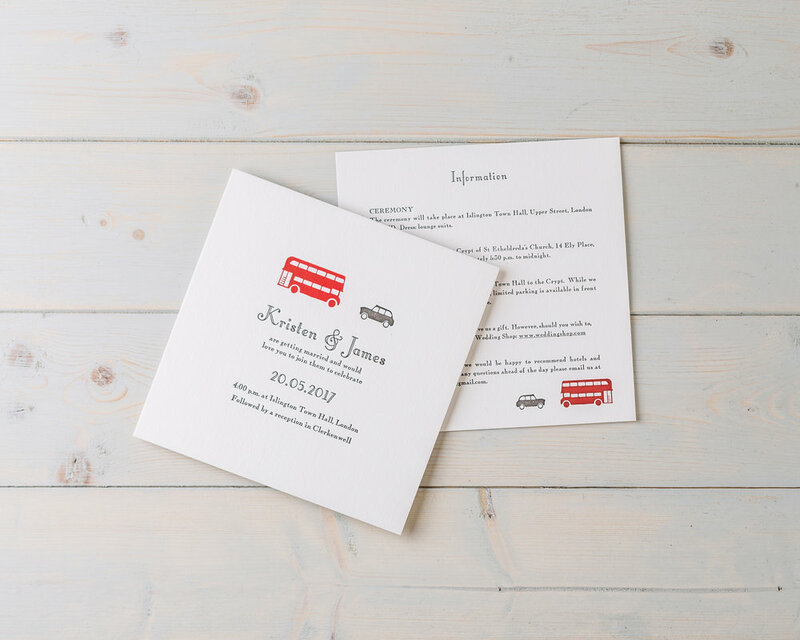 The retro inspired fonts also add to the 'unstuffy' & unique wedding. 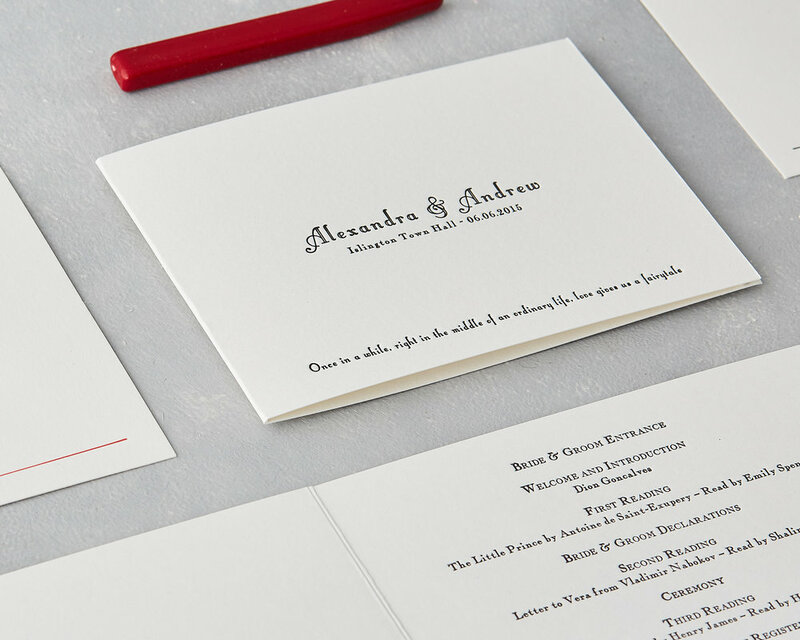 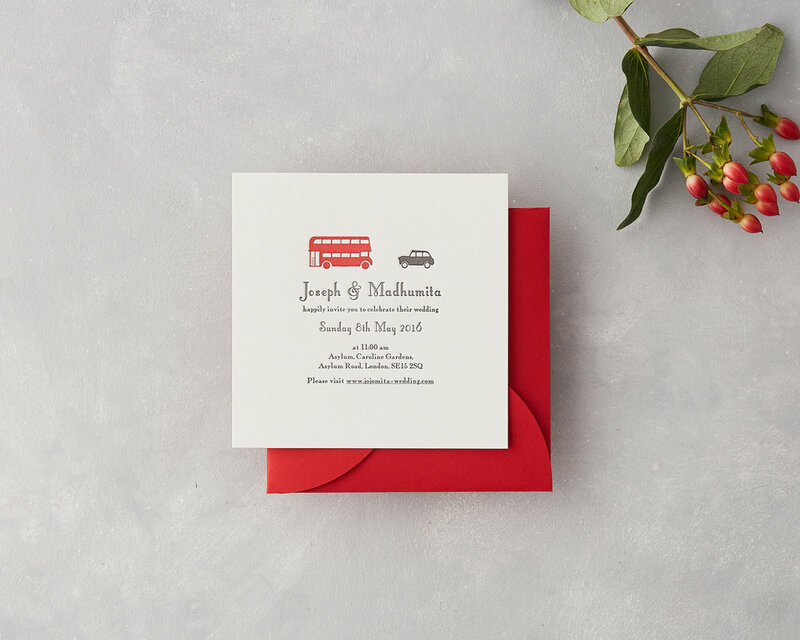 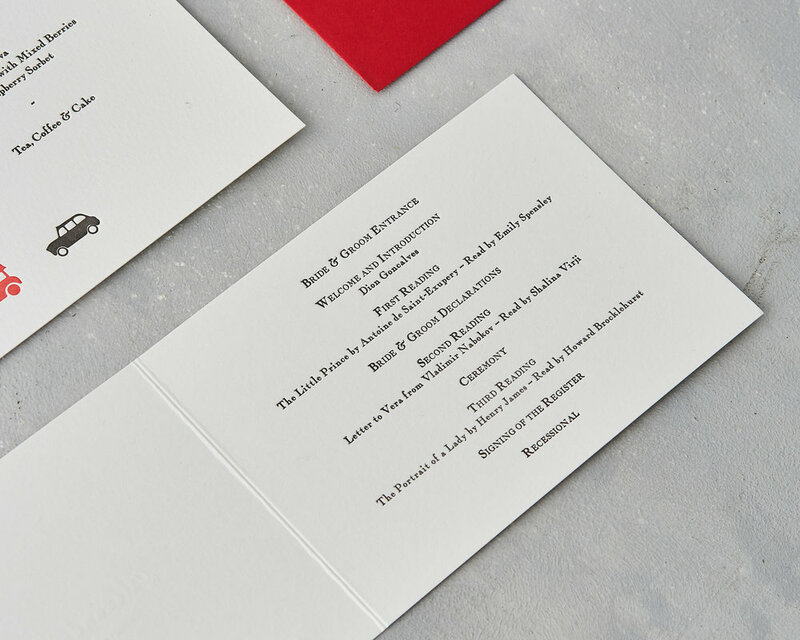 This red & black wedding stationery design looks great on all your wedding day cards from Orders Of Service, Menus, Place Settings, Table Plans, Thank You cards, Favours, Games & Activities.